We “Al Mizan Pharmachem Equipment” are the reputed manufacturer and wholesaler of an excellent quality array of Sparklers Filter, SS Storage Tank, Stainless Steel Reactor, Used Octagonal Blender, Used Tray Dryer, etc. 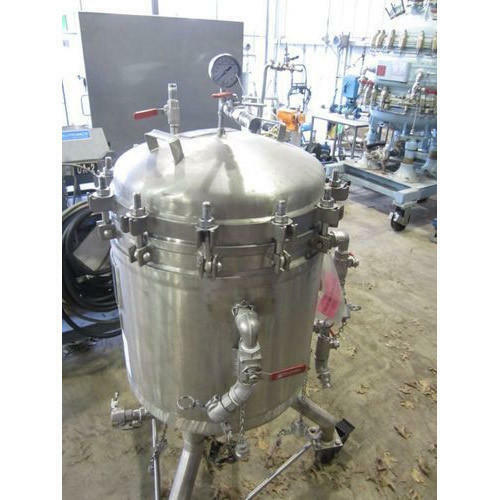 We “Al Mizan Pharmachem Equipment” are the reputed manufacturer and wholesaler of an excellent quality array of Sparklers Filter, SS Storage Tank, Stainless Steel Reactor, Used Octagonal Blender, Used Tray Dryer, Ribbon Blender, Rotocone Dryer, etc. These products are widely demanded for features like energy efficiency, simple installation and easy maintenance.